Gasp at ancient temples and ancient Mayan ruins. The stunning palace at Palenque as rare birds and jungle parrots scream and screech perched high up in the trees. While wild monkeys cry in the humid emerald forests all around you. Discover sparkling turquoise waterfalls, remote trails and endless white sandy beaches along the picturesque coastline. This is the fabulous country of Mexico; which is a worthy place to begin exploring. Whether as a first-time visitor or as a frequent traveler. 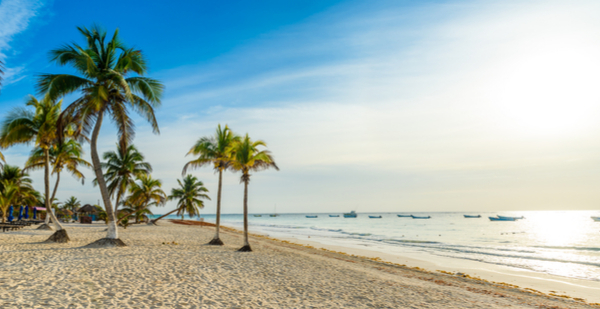 Sliding from a palm-fringed white sandy beach into the warm, turquoise waves of the Pacific Ocean at the beaches of Puerto Vallarta or enjoying the hectic street bustle of Cancun, this is what being in Mexico is all about. 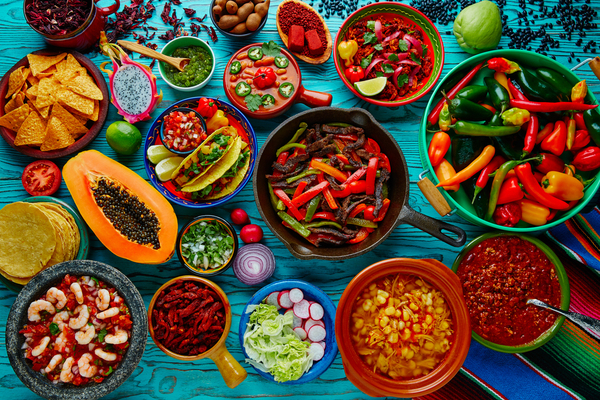 Kick back and relax with fine dining by night and indulge with spicy chicken fajitas in specialty Mexican restaurants. Drink rare wines and sparkling local cocktails. By day, explore endless Mexican beaches, remote forest trails and revel in unspoiled waterfalls and dense jungle. All these outdoor activities are unique Mexican travel experiences. Mexico is a premier vacation destination and tourism hot spot. Desirable to visitors both for the sunny warm climate in well-known vacation areas like Cancun. 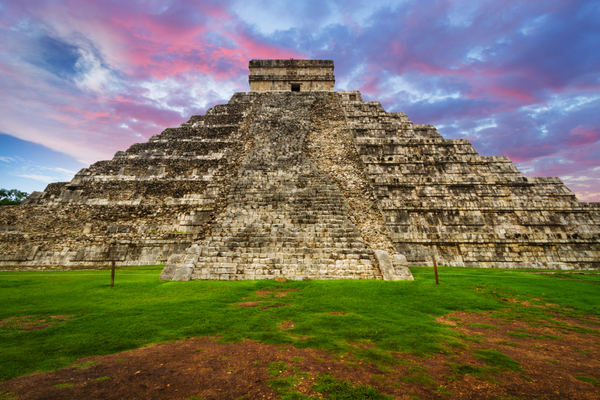 Yet Mexico is also a country renowned for its stunning scenery, rich cultural heritage and remnants of ancient civilizations such as the Mayans. 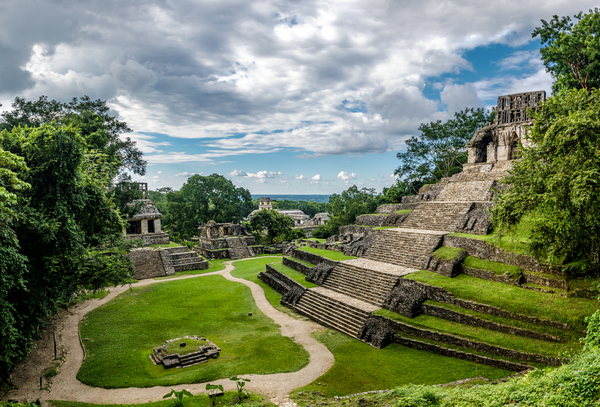 The Mayans ruins are ripe for exploring as part of an activity or adventure holiday. Lush jungles and ancient temples draw in hikers and aspirational treasure seekers. While by the coast and sandy beaches, luxurious resorts await the more sedate traveler who just wants to drink an ice-cold Corona by the pool. Every visitor to Mexico goes home with their own memorable impression of this remarkable country; indeed many visitors to Mexico are returning visitors or holidaymakers who return time and time again. Mexico is a large country. Also, the vast open terrain crosses both temperate and tropical climate zones. It reaches 5km into the sky at its peak and stretching 11,000km along the coastline. Mexico has a busy city of 20 million people at its center. Countless remote pueblos and isolated villages everywhere. As a backdrop to a vacation, it will hardly fail to provide a huge variety of things to do for human adventure and exploration. Explore the coastlines or head inward. You will see the ruins and ancient temples from long since vanished civilizations. While in Mexico, the choice will be yours. Mexico is what you make of it, the country will reward explorers who travel off the beaten path with sights and experiences unlike any other. On the flip side, the multi-billion-dollar tourism industry is adept at satisfying those who like their travel easy to please; hotels that cater to those who just like to chill are plentiful in Mexico. If all you want is a relaxing vacation on the beach then there are a plethora of fantastic hotels to choose from. Easy going night time entertainment includes the obligatory Hard Rock Cafe restaurants, Señor Frogs and the famous Coco Bongo show and club. Make sure to hit some local Mexican restaurants also for a taste of authentic cuisine. If you want to hit the tourist route then Playa del Carmen is a good place to start. Yet wild adventure is what you’ll undoubtedly have if you take a just a few steps off the regular tourist path. Activity-based adventure tourism, community tourism, and genuine Ecotourism see the jungles, the old temples and meet real local people from across Mexico. The type of activities that actually help conserve yet promote local environments – are developing fast in rural and countryside areas. Visitors to the more isolated parts of the country now have the chance to travel to Mexico’s spectacular wild places and enjoy interacting with local communities like never before. Adventure activities for the more discerning tourist include world-class canyoneering near Monterrey or taking culinary cooking lessons in the Veracruz countryside to packing the rucksack and hiking the Oaxaca cloud forests, or visiting ancient ruins by the coast, places such as Tulum. 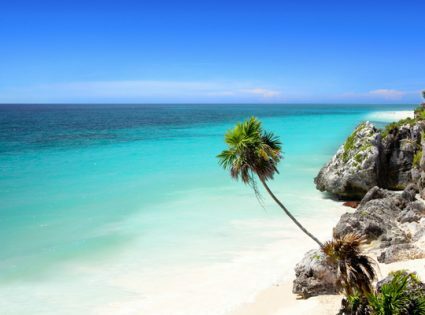 In fact, the city of Tulum was one of the last cities inhabited and built by the Mayans, no long since a remnant of Mexican culture and heritage. Swimmers should try snorkeling in the sea by the coral reefs of the Yucatán peninsula or just hire a car and find a remote beach. There is plenty for the adrenaline and culture junkie to feed upon in Mexico. Planning your first trip to Mexico? Be ready for more crowds, noise, bustle and also poverty than you’re accustomed to, especially if it’s your first trip outside the developed world, there tends to be two sides to living amongst the people in Mexico, made up from those that clearly have and then those that have not. Some areas can be affluent while others are very run down so be prepared for quite a contrast in surroundings. However don’t stress too much about your visit to Mexico, the majority of Mexican people will be only too happy to help you feel at home in their country. Invest a little time before your trip in learning a bit of history, even try familiarizing just a few phrases of Spanish, since every new word or phrase you know will make your trip that little bit easier and more enjoyable especially for getting around and everyday activities.